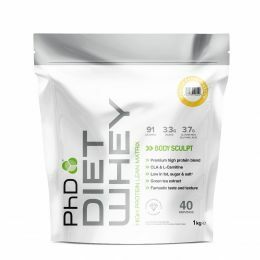 PhD Nutrition’s Battery+/_3 is designed to facilitate the window of opportunity that may exist in and around the workout period. Battery+/_3 is designed to be used by any type of athlete from endurance to strength athletes. *Essential Amino Acids (EAA's) *RI = Daily Reference Intake. *Magnesium contributes to a reduction in tiredness and fatigue. If using Battery+/_3 after weight training, why not try adding a serving to as Pharma Whey HT+ or Synergy ISO-7®? For those athletes participating in endurance based training, Battery+/_3 can be used alone with water as recommended.